You Asked. We Listened! WP Courseware 2.4 is Here! There are so many new and exciting features in this update, that we decided to prepare a short 2-minute video giving you the highlights of WP Courseware Version 2.4. Please be sure to take 2 minutes to watch this. We think you’ll be pleased! Click the player to watch! As many of you know, Ben and I have always strived to keep the price of WP Courseware affordable while at the same time delivering the absolute best in customer service, updates, and the quality of our code. We’ve had only one small price increase since we launched the plugin almost a year ago. However, in order to continue delivering world-class support and frequent updates, we will be raising the price of WP Courseware on Thursday, August 15th at 1:00pm EST. Not a Current WP Courseware Customer? 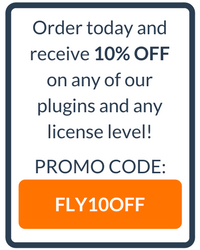 This is your chance to lock in the lowest price on the leading learning management system plugin for WordPress! The plugin will never again be offered at the current prices. Remember, the price goes up in less than 72 hours! Click here to lock in your price! WP Courseware has been installed by thousands of customers from around the world. Yep, we’re pretty surprised, too, and we’re honestly humbled by the response from the WordPress community. Free updates and support! Click here to lock in your price before it goes up! When you log into your WordPress installation, version 2.4 of WP Courseware will be waiting for you in the “Installed Plugins” screen. We feel incredibly fortunate to have such an engaged user community and we greatly appreciate the suggestions and feature requests we’ve received. We’ve received hundreds of feature requests since our launch, and we evaluate every single one of them through weekly development planning sessions. You are being heard! WP Courseware Version 2.4 is for you! Okay the new Survey Open ended questions are AWESOME!!! Just what I needed! Goodbye google forms that people can skip filling out! Thanks, Chris! We’re really happy with how they turned out as well. Great and timely update – about to present this to my boss today! Try this plugin to easily embed any word / pdf / powerpoint and excel data using google’s online viewer. Also allow files to be printed or downloaded via link in settings area. Great tip, Paul! Thanks! I think this would be a fantastic way to offer course unit summaries or action guides in PDF format. That’s something that Ben and I have done with past courses and it’s a great way to give students an offline takeaway to stay fresh with course material. One thing that wasn’t mentioned above is the fantastic support provided by Nate and Ben. My questions have always been answered thoughtfully and quickly… Usually the same day! I couldn’t be happier as a customer! Keep up the great work guys. And it’s okay to toot your own horn now and then! Thanks, Andy! We really appreciate your kind words. Ben and I see every single support request that comes through. While we’re deeply committed to ensuring that our plugins are best in class and updated regularly with our users’ feature requests, ensuring timely, accurate, and thorough support is our first priority. We are incredibly grateful for each and every one of our customers and we do feel that attitude is reflected in our support policies. Hi guys, nice work on the upgrade. Thanks for the csv export of grades.. I still have the issue of identifying users from various facilities. I can make custom meta for each new user. Thanks, Jeff! The best course design approach to ensure analytical flexibility over the long-term would be to provide each facility with its own courses. It involves more setup, but will likely pay off in the long-run as we add more course-centric settings and features. Awesome job guys – I think it contains pretty much all the features that I asked for do I’m stoked.. Thanks, Jay! We appreciate all of the time you took to provide us with your feature requests.